You’ve got your pro white kit, white frame, fork, bar tape, white TRP EuroX brakes, and white Challenge Grifo XS tires. You feel pretty pro, but what’s up with the black or silver pedals? 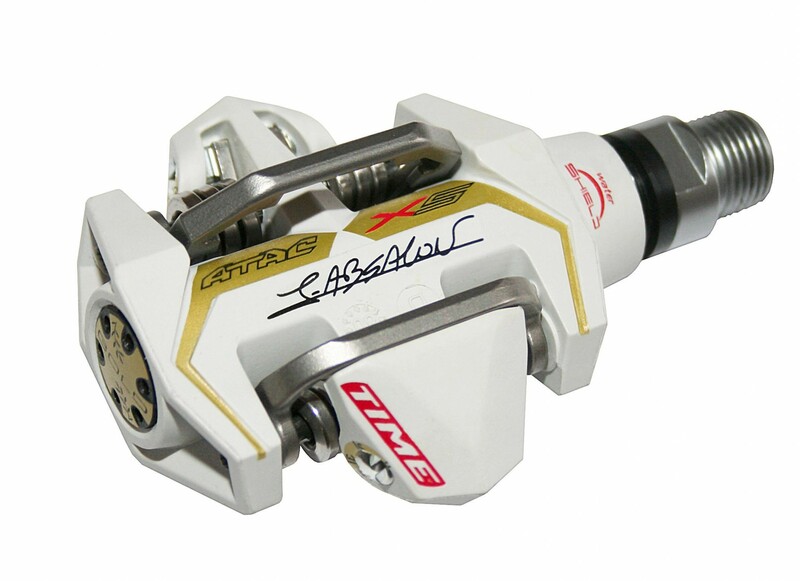 Time has come to your rescue with their new Olympic Champion Julien Absalon signature ATAC XS pedals. They feature a composite body and steel axle, with ± 5° angular float, and 5mm of lateral float, and are 350 grams per pair. 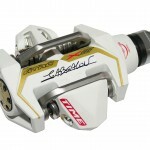 In addition to the eye-catching white color, the pedals feature gold trim and Absalon’s signature. More importantly, the pedals offer the same mud-shedding ability of other ATAC pedals, giving you the best chance to keep the pedals white throughout the race. Mary Moncorge from Time tells Cyclocross Magazine the pedals will be available by the end of this month.